Introducing natural light into an interior space is becoming a priority for most homeowners when looking for replacement windows. This is due to the numerous benefits natural light offers. 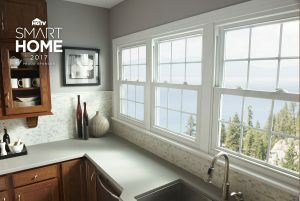 Many homeowners have chosen to install more vinyl windows in their most used rooms. If you have plenty of windows but they are starting to show their age, it may be time to replace them with newer, more energy-efficient ones. Daylighting is the strategic placement of windows to allow as much natural light into the home as possible. Daylighting can also be achieved by installing skylights or other openings in your house. Introducing natural light into an interior space is becoming a priority for most homeowners when looking for or building a new home due to the numerous benefits it offers.